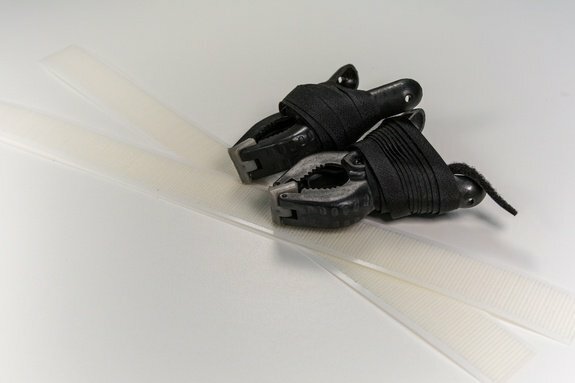 Easy-to-use side clamps are each attached to a 5 foot-long strip of Velcro®. These clamps work with any Handi Quilter frame. Listed price is for a set of two clamps. Two strips of adhesive-backed Velcro are included and must be installed on the frame sidearms. Dimensions: 6 x 4 x 2 in.